Oh the weather outside is FRIGHTFUL! Sometimes when you’re at home with toddlers and the weather is bad you can find yourself tearing your hair out looking for things to keep them occupied with. 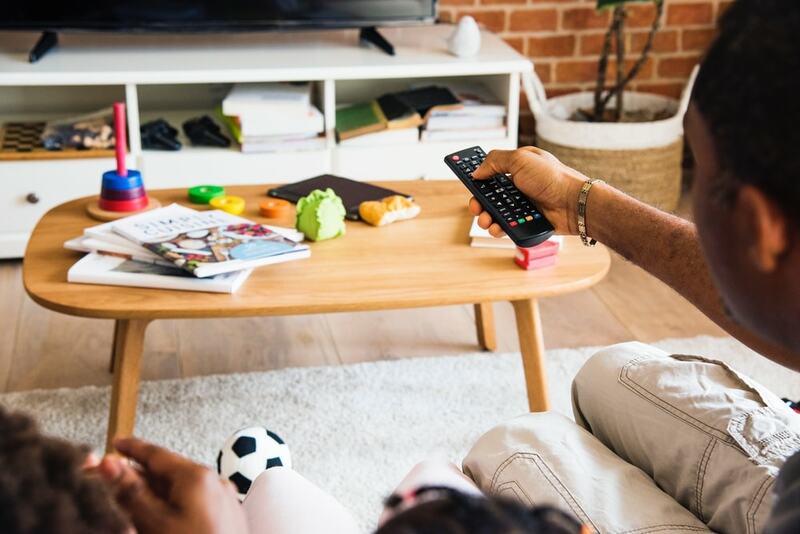 Luckily, there are a range of family movies on Netflix kids and ABC iView that are capable of both holding their attention and providing stimulation instead of screen intoxication – they may just become your favourite toddler movies of all time. Small children have shorter attention spans (which is surely not new information to you!) and, as a result, they often struggle with longer films. A lot of movies can be overwhelming to young children as well. Lots of colour, darting shapes, complex plot lines and problematic messages can make for one confused kid. There are, however, a variety of shorter toddler movies available that are easily followed, beautifully made and provide ample opportunity for connection and later activities. Ratings are important. G rated films are suitable for this age range – PG can be too confusing or frightening. Subject matter is best kept simple, and many films specifically designed for the shorter members of the family also have some great messages. 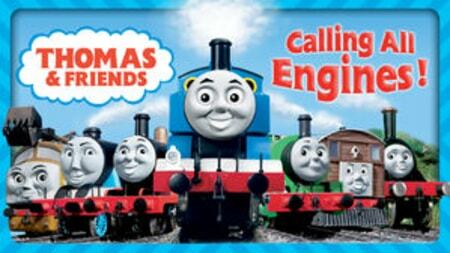 There are lots of Thomas & Friends movies available on Netflix kids. These films are all roughly one hour long which means you’re not plopping your toddler down in front of the TV for hours on end. Thomas & Friends films have straight-forward plots that all involve a similar narrative arc. There’s a problem on the railroad because someone wasn’t doing the right thing or being a good member of the team. The other engines must work together to solve the issue and instead of punishing the rogue engine, they welcome them back into the fold. These movies are manageable for YOU as well. The music and voices are gentle and soothing, the animation moves at a pace that little eyes can follow and there aren’t a million annoying catchphrases or musical numbers that you might find in some other films. This shorter movie (roughly 30 minutes) is a beautifully constructed animated film that follows the classic children’s story, “We’re Going On A Bear Hunt”. The children work together as a family on a perilous journey and then protect each other from a scary bear. There are some lovely messages here and that’s what makes We’re Going on a Bear Hunt one of the best movies for toddlers. The siblings show genuine love and affection for each other while the protagonist, the second youngest, is allowed to process her grief for her grandfather who isn’t there anymore. Word to the wise – “We’re going on a poo hunt” might become a new saying in your house and you might shed a tear when the lonely bear stares up at the sky at the end of the film. This film is usually available on ABC iView. ABC iView is again typically the home of these two beautiful films. Both animated films run for about 30 minutes in length. 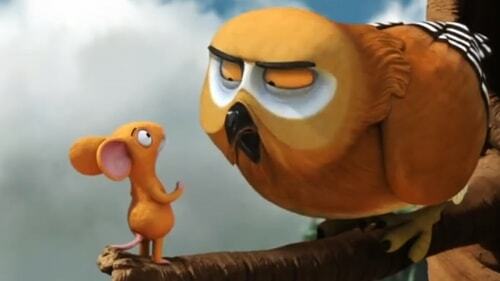 They follow the story of a cheeky mouse who tells some tall tales to get out of trouble – and they also address the impact of those lies. 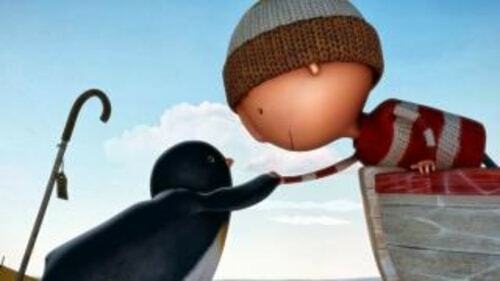 These toddler movies are beautifully animated, voiced by famous Brits and scored to perfection. They’re dynamic films that can easily be adapted by you into role plays and, if children are interested, they are based on the most gorgeous books. A favourite for parents would surely be the cheeky expressions on the characters faces and the daring nature of the mouse. This is a children’s film that you might find yourself hypnotised by as well, so maybe don’t look at it if you’re trying to get something else done! The Gruffalo website also has a number of games and some ‘behind the scenes’ features which can extend this viewing further. This is another favourite toddler movie that the whole family will get a giggle out of. 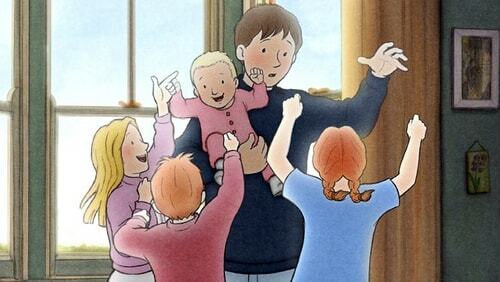 This is again based on a children’s classic and explores the ideas of family, finding value in each other and courage. 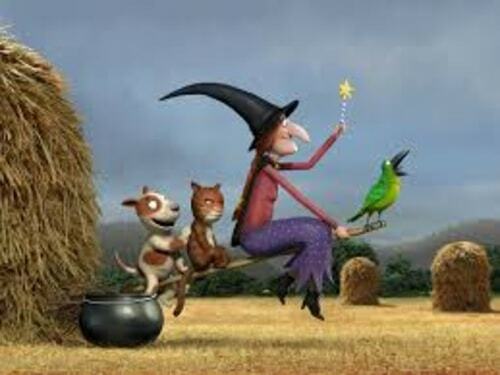 A witch generously rescues a variety of misfit animals who, in turn, rescue her! Room on the Broom is simple, it’s short and it can usually be found on ABC iView or Netflix kids. Oliver Jeffers creates the most divine children’s books. His stories are artful creations that shape miniature worlds and draw children into beautiful landscapes. One of his best books, Lost and Found, has been crafted into a short film (roughly 30 minutes). This plot follows a boy who tries to return a lost penguin to the South Pole – only to realise that it was his friendship the penguin was looking for. The art in Lost and Found is very similar to the book and it’s absolutely entrancing. You can generally find Lost and Found on ABC iView. All of the other films listed here are short but Wall-E is feature length. There is a reason for its inclusion. This is a full-length animated film that toddlers may be able to digest in parts, more if they’re younger. 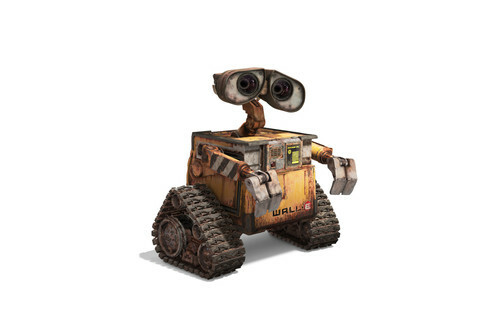 Cute animated robots, lovely messages about environmentalism and sustainability and a heart-warming connection between the two main characters mean that this is a film unlikely to confuse or frighten young viewers. It’s also one of the only full-length animated films that adults can stand to watch! Hopefully these rainy-day treasures can help you out the next time the heavens open! Desperate for a quick play activity that will keep little ones amused? Try some of these ideas!